Each year the UK throws away millions of hard hats. JSP recommends that users replace their hard hats every 5 years or as soon as it receives a knock. These are traditionally thrown into general recycling waste with a high probability of ending up in land fill. The National Hard Hat Recycling Scheme aims to change by diverting safety helmets into a dedicated waste processing facility, thereby ensuring all hard hat waste is fully recycled. JSP fully supports this scheme as a founding member using the service for our own safety helmet recycling. 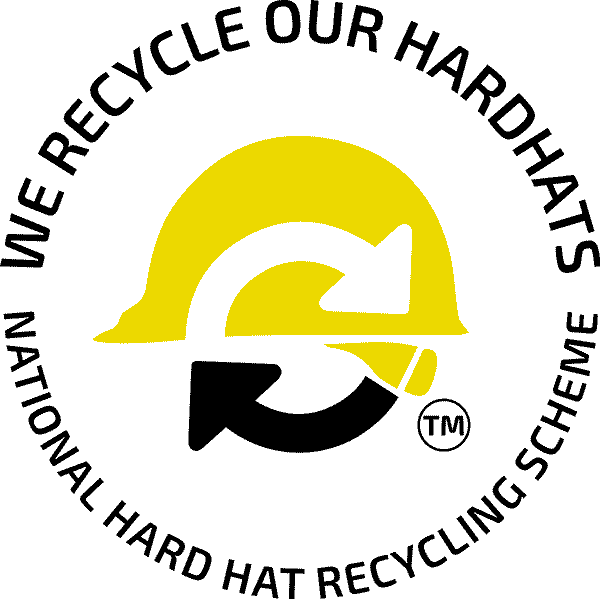 What is the National Hard Hat Recycling Scheme? A scheme where registered members (companies) can send used hard hats directly to Yes Recycling's dedicated facility where they will be processed. All of the plastic is fully recovered and transformed into plastic pellets which can then be used to manufacture new products. This means that all hard hats are fully recycled responsibly in the UK unlike other similar schemes which see waste product being dumped overseas. How does the National Hard Hat Recycling Scheme work? Members can send as many hats as they want to, however they want to, and as often as they want to just for the cost of postage. Members will receive receipt of waste paperwork. This paperwork is proof that the hard hats have been disposed of responsibly and that they have been recycled. Yes Recycling will completely converts all hard hats received by processing them into 10mm flakes. These flakes are then separated into their constituent polymer elements, washed, dried and then melted down and filtered. The pure molten polymer is then manufactured back into brand new polymer pellets which is a universally used raw material plastic product for manufacturing meaning your hats are fully recycled. How do I join the National Hard Hat Recycling Scheme? To sign up your organisation to the scheme you will need to follow the instructions on the Yes Recycling website.